Home Holiday World Multi-Million Dollar Waterpark Expansion For Holiday World, Plus Voyage Trackwork. Multi-Million Dollar Waterpark Expansion For Holiday World, Plus Voyage Trackwork. Holiday World plans to expand their water park next year with a large kiddie-expansion. 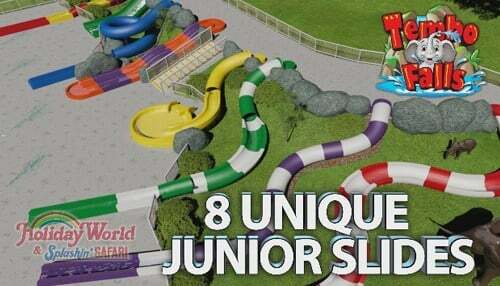 A water slide complex with 8 junior-sized slides is planned, along with a wave pool. The complex will be elephant themed and is said to be named "Tembo Falls." 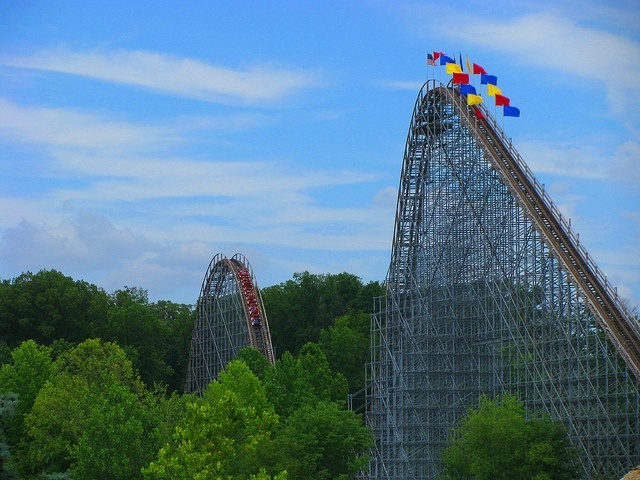 Along with the announcement of Tembo Falls, Holiday World is planning improvements to The Voyage roller coaster. Wooden coasters need attention quite often due to the and Holiday World takes care of their wooden coasters better than parks around the world. In previous years we've seen re-tracks of the Raven and Legend coasters. The total cost of the new water park and Voyage enhancements are said to be at $3.5 Million. The Voyage coaster has been voted #1 wooden coaster in the world more than any other coaster.